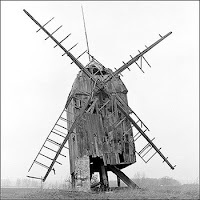 Originally posted by Dedicated Ears on FrostClick, a great place to find Creative Commons music, games and software! Hailing from Detroit, Michigan is Sunlight Ascending, who play a brand of instrumental ambient/experimental rock that relies most heavily on the guitars to builder somber feelings as well as elation when they soar and reverberate. Their first album All The Memories, All The Time has a full range of sounds that deliver powerful emotions to the listener. The band formed as high school freshmen and this album is the result of three years of playing together. The impressive learning curve that finds a three year old band making such an accomplished and fully wrought album is a testament to Sunlight Ascending. "Reverse The Dragons" is heavier on the progressive side as drums drive this song. The big guitars by midway through the song put an aggressive edge on the song. "Ocean Depth/Closing Paths highlights the subtle side of Sunlight Ascending. The guitars in this track come in subdues waves and there is a nice piano that accentuates the guitar parts. Each song on All The Memories, All At Once are is more important withing the framework than alone by itself. Band members are James Schultz - Guitar/Keyboards, Jeremy Schultz - Drums, Trish Chisholm - Bass/Guitar, Andrew Mcilwain - Guitar/Bass, Sean Reed - Guitar/Viola. I love to hear a band push boundaries like Sunlight Ascending does. These songs have ambient, progressive, and bombastic elements that are fused together to create a sound of it's own. The band is on the very cool Net Label Future Recordings which has quite a few post rock/ambient acts on their Bandcamp page. First posted on FrostClick.com. A cool place to find Creative Commons programs, games, music and video. 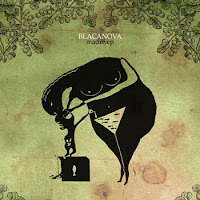 From Seville Spain, Blacanova plays an indie rock that is equal parts ambient and shoe gaze on their Madre EP. The mark of indelible music is that it transforms boundaries. The Spanish language vocals on this EP could be an impediment for those who don't understand Spanish, but the composition and beauty of the vocals make a common spoken language unnecessary. The guitars are both shimmering and haunting as they lay a groundwork for an album that reveals more with each play. Manuel Begines, Pepe Fernández, José A. Pérez, Inés Olalla, Armando Jiménez y Paco Arenas make up the band. From the opening shoe gaze reverb on "La Incredible Verdad" it is apparent that Blacanova have a firm grasp on the overall mood of what they are trying to accomplish on Madre. The steady build on this song grows to a blissful point. "Decima Victima", that hearkens to both early production from the Cure to the vocals that harbor memories of My Bloody Valentine. This is my favorite track on this very strong EP. Another beautiful build to a prolonged wave of shoe gaze reverb. The combination of Ines' sultry vocals and the texture of the guitar effects creates a haunting sound that forces you to pay attention. Blacanova realizes a top level shoe gaze recording on Madre. The mix is brilliantly done and the smoldering sonic builds to crescendos are well thought out and leads to a hypnotic effect on the listener. This is such an accomplished EP.